The probability of surviving gastrointestinal (GI) cancers can be improved significantly if it is diagnosed early. However, fewer than half of new cases in Canada are identified at the earliest most curable stages. In current clinical practice, the detection of GI cancer is performed using white light endoscopy and clinical decisions are made from biopsies obtained from areas with abnormal morphological or colour appearance. Early cancerous lesions have subtle changes in colour and morphology, and can be hard to identify via white light endoscopy. Oversampling is often required to minimize false negative results but has significant adverse effects on patients. Therefore, tremendous potential exists for in vivo non-invasive diagnosis for improving early cancer detection. Dr. Haishan Zeng and his team are building a new GI tract endoscope that will produce real-time histology-like and 3D images of tissues with cellular resolution using confocal optics. The new endoscope will assist clinicians to better identify the locations of lesions and reduce the number of biopsies. Cost saving to the health system will mainly come from the reduced number of biopsies. The new device will have extraordinary patient impact by detecting GI cancers early. The proposed translational research is interdisciplinary in nature and has a patent pending. The commercialization potential will be obvious once the probe can be proven useful in the clinic. Dr. Zeng is a distinguished scientist with the Integrative Oncology Department (Imaging Unit) of the BC Cancer Agency Research Centre in Vancouver, a professor of Dermatology and Skin Science at the University of British Columbia (UBC), and associate member of UBC Departments of Pathology & Laboratory Medicine and Physics & Astronomy. Dr. Zeng received a B.Sc. degree in electronic physics from Peking University, an M.Sc. degree in electronic physics and devices from the Chinese Academy of Sciences, and a Ph.D. degree on biophysics from UBC. For over 28 years, Dr. Zeng’s research has been focused on developing novel phototherapy and various optical imaging and spectroscopy techniques for improving early cancer detection. He has published over 155 peer-reviewed journal papers, 17 book chapters and a book on Diagnostic Endoscopy. 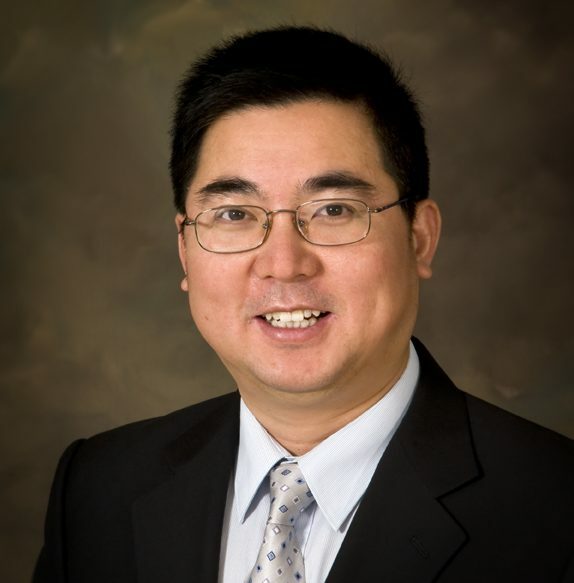 Dr. Zeng is currently an Editorial Board member of the Journal of Biomedical Optics and an Executive Organizing Committee member of the International Symposium on Biomedical Optics. Dr. Zeng’s research has generated 27 granted patents, with further patents pending, related to optical diagnosis and therapy. Several medical devices derived from these patents, including fluorescence endoscopy (ONCO-LIFE™) and rapid Raman spectroscopy (Verisante Aura™), have passed regulatory approvals and are currently in clinical use around the world. The latest device, Verisante Aura™ using Raman spectroscopy for non-invasive skin cancer detection, was awarded the Prism Award in the Life Sciences and Biophotonics category in 2013 by SPIE – the International Society for Optics and Photonics.